At Elevate Life Chiropractic, it’s our goal to care for patients of all walks of life no matter their age—including pregnant women. 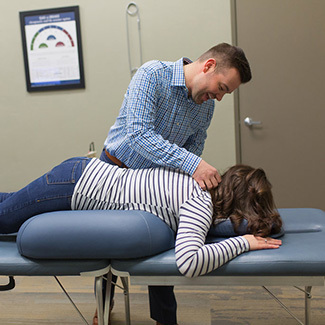 We’re proud to offer safe and effective chiropractic adjustments that are gentle enough to experience during this exciting time in your life. The benefits of chiropractic care during pregnancy include improved health, controlling nausea, reducing labor and delivery time, relieving pressure on the spine to diminish back and joint pain and helping to prevent the need for a C-section. 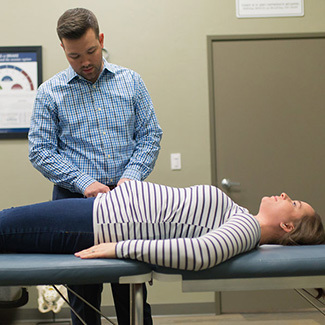 Dr. Wade is certified in the Webster Technique, which is a specialized adjustment style used during pregnancy to help facilitate correct pelvic and sacral alignment for the mother. This helps to balance the pelvic muscles, ligaments and nervous system as well as remove unwanted tension on the uterus. Depending on how far along you are in your pregnancy, we can supply you with special pregnancy pillows to help you feel more comfortable and relaxed during the appointment. After you give birth, we hope to see your newborn in our practice so we can continue to help them grow healthy and strong, free of nervous system disturbance and dis-ease. If you’re pregnant or thinking of becoming pregnant, it’s a great idea to visit our practice to find out how we can help you have the best possible pregnancy. Contact our practice today to get started. We look forward to working with you!